For our last Inquiry session of 2015 we had to reflect on our inquiry topic for the year - what we had done, what worked and what impact we felt our inquiry had made on the end of year data. Our inquiry meeting used team work by a group of colleagues to offer solutions to a class problem. My problem is the reluctant writers who have good ideas to share, can put their ideas into a sentence orally, are capable of using their alphabet sound knowledge to attempt to write unknown words and can hear sounds in the correct sequence but are still reluctant to "talk to the paper". -shared writing where I write some of the tricky part. - giving them a free choice of topic to write on so they did not feel constrained by what they could write about. -making up digital word banks so they were not constrained by lack of vocabulary or spelling. - aiming for quality not quantity. One well written sentence was better than four "formula" (I went to ... and I went ... ) sentences. -using typing so that they weren't held up by their struggle to physically write a sentence. -drawing a picture to organise their ideas. One suggestion was to make the writing shared with a live audience, not just the teacher, so they could see a purpose of the writing. They were telling their friends of their experience. This may be recorded or videoed so their ideas are already formed into sentences and they can refer back to it when necessary and let them concentrate on how letters are formed. Using typing does seem to the best solution so far as it helps overcome the main barrier of writing being a hard physical tasks. It is quicker, gets the job done, it is more legible than "spider" writing and the student can feel a sense of achievement. We have used traditional brainstorms for our writing but I wanted to use a system of making gifted words more accessible and not a "fixed" word bank. This is a digital system we have been using over the last weeks of term. Another new skill Mrs George has taught the children is to type their stories on to their iPad. Using the topic of their cross country training a co constructed sentence was quickly put together. After the children were able to say the sentence they recorded themselves saying it and then set about saying it as they typed. If they couldn't remember the next word, they played the recorded sentence back again. For some it was finding the letters that was a time consuming process, while for others it was remembering what word they needed next, listening to the recording and then typing it in. The recording gave the children independence to be able to complete the task without having to check in with the teacher. They were also able to listen to see if they had correctly sequenced the words in their story. As the children move up through the reading levels they are looking for activities that challenge them and let them extend their knowledge as they are beginning to read to learn instead of just learning to read. While they like the familiar format using sequencing and word work, they have also begun to attempt to create their own activities and try their hand at finding further information from their text. They have found that orally recording their tasks is another way the activities are able to be completed along with retelling stories, listening to their fluency and justifying their answers. 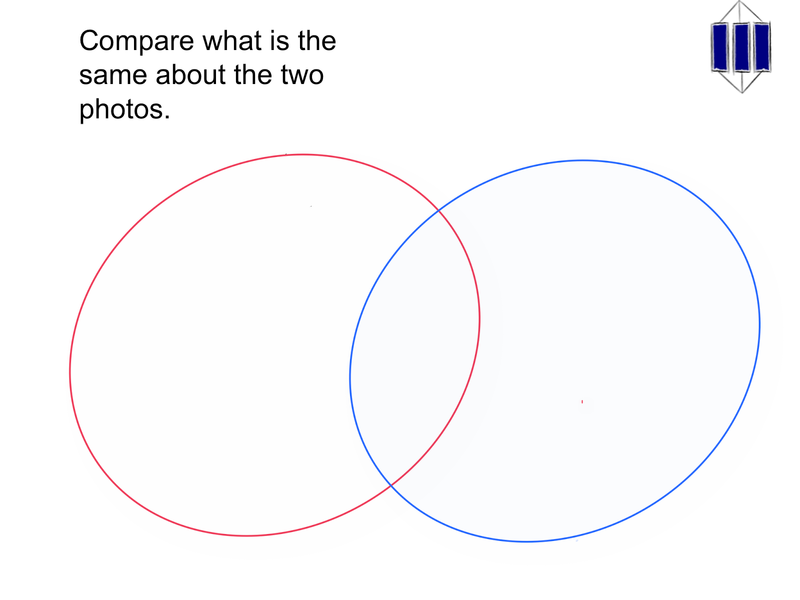 I have been able to used the Solo Taxonomy Venn diagram template that I drew up in Term 1with a group of learners. We used it orally with the children helping me to write in the words. They were amazed to be able to quickly see similarities and differences that weren't specifically set out in the text but with further discussion became apparent. 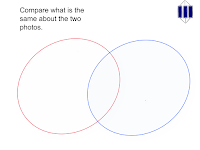 Using the Venn diagram to compare similarities and differences. 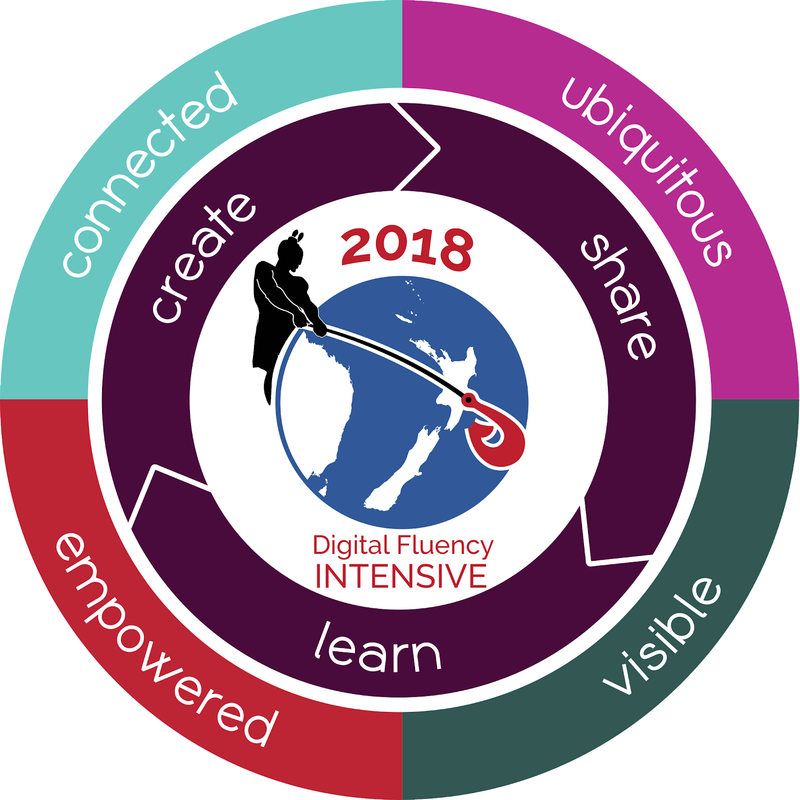 I am still finding that good things can't be rushed and small steps are needed to ensure that all learners feel secure in using the iPads for literacy activities. Confidence comes with security and most groups are able to work independently, to a degree, on their tasks. They enjoy being able to work at their own pace, revisit an activity they like and even extend an activity by adding extra tasks, recording their own version of a story or describing what they like about a character. This shows how much fun their learning is! There is a noticeable increase in the number of children who are trying to work more independently on their reading activities. Activities that the children had worked on the previous day are checked and help given if needed so that these can be completed as part of the reading rotation. Often I will hear discussions justifying what an answer is to a question or they will read out loud the sequencing sentences to see if they sound correct. It is great to see them trying to help each other by discussing answers. Listening to words at their level and writing them out are helping some children gain more high frequency words. Another favourite part of the reading rotation is listening to stories that we have read as a class and re reading them. We are beginning to hear some of their favourite phrases coming out in conversations. We are beginning to learn how to save our work so that we can finish or add pages at a later date. Most of the children can copy a title from the board and make a good effort at typing it. Those that find it difficult are making an effort to try to save and will at least start the process so that I help with the typing. Again the process of typing helps them identify letters. The children have enjoyed using the template on the letter "Tt" (made by Karen Belt), listening to the sound bites, matching words and going around the class taking photos of something beginning with "t". Some have difficulty using their time wisely and end up with little to show while for others it is an opportunity to work independently and see what exciting things they are asked to do on the next slide. They enjoy sharing their work and discussing what they have found. For reading we have been using templates (created by Michelle George and Karen Belt) that require the children to use their existing skills. For the children on the beginning levels these need to have very little reading as they find it frustrating when they have to ask for help to do the tasks. After discussing and demonstrating the tasks, the children like to be able to do the tasks with very little input from the teacher and they get a great sense of achievement from doing so. Because there is a variety of tasks, with recording, matching, sequencing, drawing and writing they seem to be far more engaged, especially for the children who normally find writing quite a chore. The sequencing tasks are showing the children the importance of looking closely at all aspects of text - upper and lower case letters, speech marks, full stops and "does it make sense? " One doesn't have to rewrite the whole sentence if one makes a mistake - a real bonus that gives a struggling writer a sense that he/she can achieve as much as others. 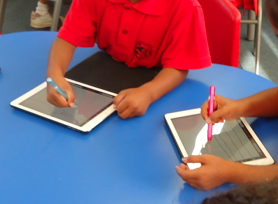 The children were eager to start using their iPads after the holidays. They were able to remember how to use the tools to draw lines, make boxes and shapes, use different colours, take photos and use them in Explain Everything. We did activities in maths, reading and writing to brush up on using these skills. This term Mrs George is coming in during reading to show small groups how to record and save their work while doing reading activities. Drawing rectangles of a particular size proved to be quite tricky for the children because they did not realise that once you took you finger off the shape you could not change its size. Some quickly realised the problem, adjusted their drawings and moved on to doing lines and locking down all the shapes while others needed quite a bit of practice to get four rectangles on their page. As all the children had not completed the task before morning tea, I let them complete this as a reading activity. They were very excited to be able to continue and the children supported each other to get as far as having the rectangles and lines in place. 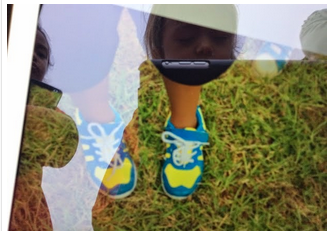 The children love seeing their work on the apple TV and sharing it with others. One left hander was having trouble drawing lines so Mrs George reversed his tool bar and solved that problem. The children are having so much fun practising their new skills! For Inquiry we leant to add a new page after drawing ourselves in school uniform so that we could draw our pets. "Can I do Reading Activities on my iPad??!!" Today I started to do reading activities on the ipads with two groups. Previously we had just been practicing our skills on simple reading tasks. I had downloaded two sequencing activities that required the children to go into their reading folder, find the activity and complete them with support. They were able to locate and open the activities quickly. They were so excited with what they found. "This is from our book. Look. Here are some words like our book!" They checked each others iPads to see if they all had the same and worked as a team to sequence the sentences. When one had the fullstops left and didn't know what to do with them the others helped her by saying they were the fullstops and they were at the end of the sentence. They watched as she slid them into place. "Can we do it again?" they wanted to know. Other classmates came to look at what they were doing and are now eagerly awaiting their turn for "iPad Reading Activities". Reading, Writing and Maths too. This week we have been using our iPads to practise the additional skills of locking and making lines that Mrs George taught us as well as revisiting the other skills . The children have enjoyed seeing that the skills that they have been learning can be used in the different curriculum areas of literacy and numeracy and are not just for taking photos. Even those children who were reluctant to "push buttons" incase something went wrong are becoming more confident in working with Explain Everything. Others are becoming quite confident in quickly going through the sequence of steps to achieve the desired outcome. Our group looked at how we could use this model to gain higher cognitive engagement in reading activities. 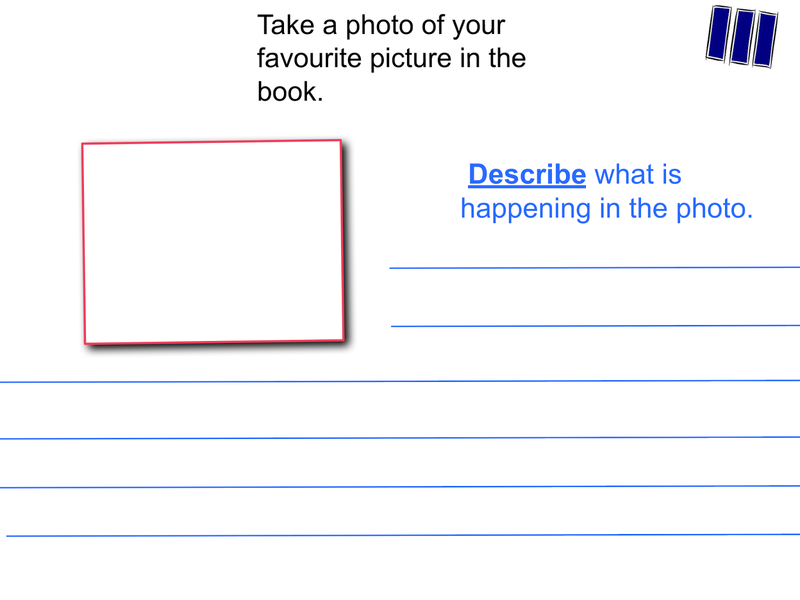 We chose to make two generic templates that could be used with different books at different levels with scaffolding. The first thinking area was "describing". This template could be used used either by the children recording their answer orally or writing their ideas. The second area we looked at was to compare and contrast. We chose two interlocking circles into which the children could move photos from the text to compare an aspect of the story. Older children could use words from the text and see what would fall within both groups. They could record their reasons orally. 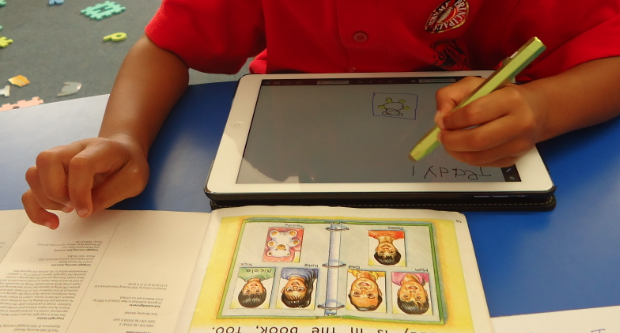 How to develop independent iPad activities to promote higher order thinking in reading for a Year One class? This year is the first time I am using one on one devices in my teaching practice. I have a class of Year Ones ranging from new entrants to those who started school at the end of last year. Using one on one devices is a giant step away from traditional teaching but it is an exciting development. We have the support of a facilitator and our colleagues. 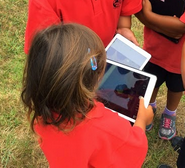 We are using the apps Explain Everything and in small steps have introduced the children to the processes of and tools needed, to take photos, move a photo around the page, make it larger and smaller, write with a stylus, and record their learning. Each week we have a lesson with Mrs George and in between we practice what we have been taught. We all enjoy our lessons very much and have learnt so many skills already. Here are some photos of us practicing taking photos.